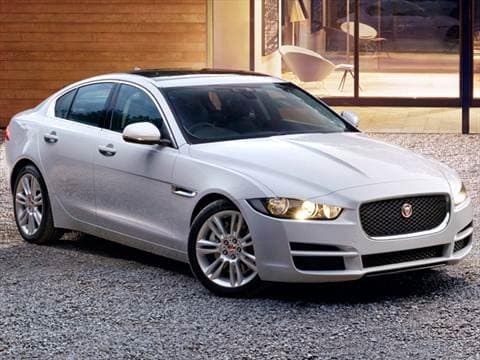 There are Jaguar XE lease deals available for Freeport and Staten Island drivers. Take on the streets of Freeport in a new Jaguar XE, and take advantage of our Jaguar lease deals in Freeport. A Jaguar XE Lease Deal boasts the exceptional performance specs and luxurious design elements you expect from the new Jaguar XE at a more comfortable price to make driving enjoyable. When you’re ready to experience a great Jaguar XE Lease Deals stop by Jaguar Freeport today and speak with one of our car financing experts to find the Jaguar XE lease deal that matches your budget. WHY LEASE A JAGUAR XE? A Jaguar XE Lease Deal can upgrade your Freeport commute by bringing the latest performance technology and luxury car interior features at a lower price than the MSRP suggests. Based on your credit score, your budget, and other car financing requirements, you can qualify for a Jaguar XE lease special or Jaguar XE lease offer. Whatever Jaguar XE package level you choose, you’ll be able to take advantage of wonderful performance features and great interior comfort for a price that’s helped by the Jaguar lease deal. If you’d like to see how a Jaguar XE compares to fellow models, compare vehicles to find out which is best for you. When you’re ready to test out a model in person, visit us at Jaguar Freeport. We look forward to helping you find your next Jaguar XE Lease Deal.